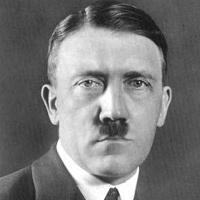 Adolf Hitler (dictator and military man). He/she was born on 20 April 1889, his/her birthplace is Politischer Bezirk Braunau am Inn, his/her country is Germany, its date of death is 30 April 1945, his/her political party is Partido Nacionalsocialista Obrero Alemán. There is information in Classora Knowledge Base about 4 rankings, reports and surveys.